Click on buy/renew now! under "Permits" on the left side of your browser screen or click on Permit Renewal/Purchase on the Services drop-down menu. 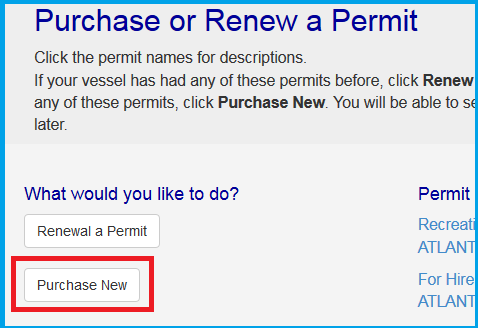 In the "Purchase or Renew a Permit" screen, click on the Purchase New button. 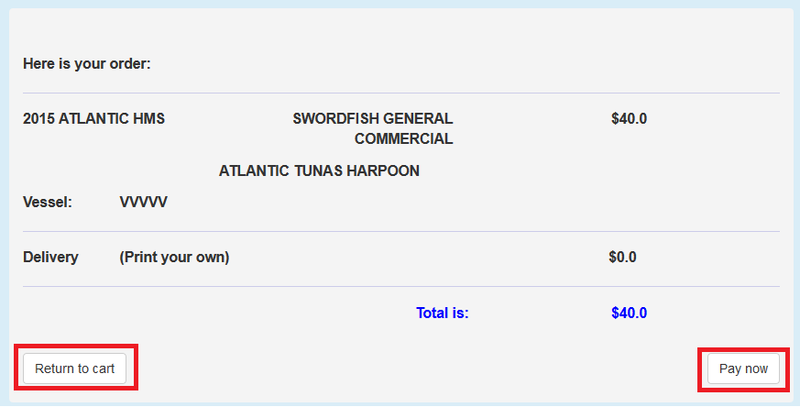 In the "Pre-Fill Basic Data" screen, if you have or used to have an NMFS permit, click on and enter the permit number in the "Look up info with this permit number" checkbox and click Continue. 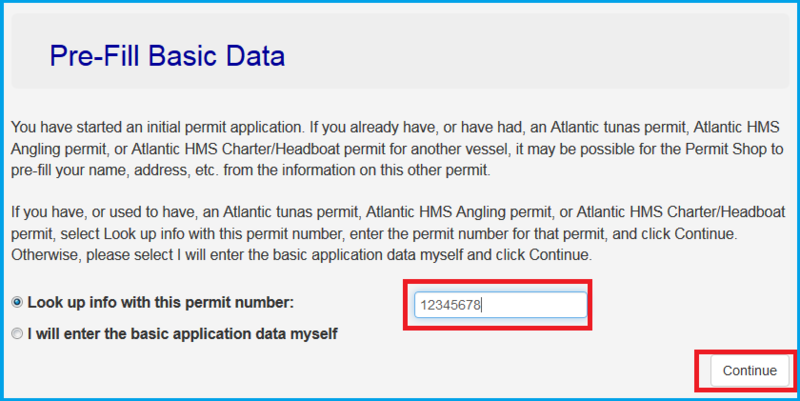 If you cannot remember your permit number or have never had a permit issued by NMFS, click I will enter the basic application data myself and skip to step 8(a clicked radio button would have a black circle in the middle). 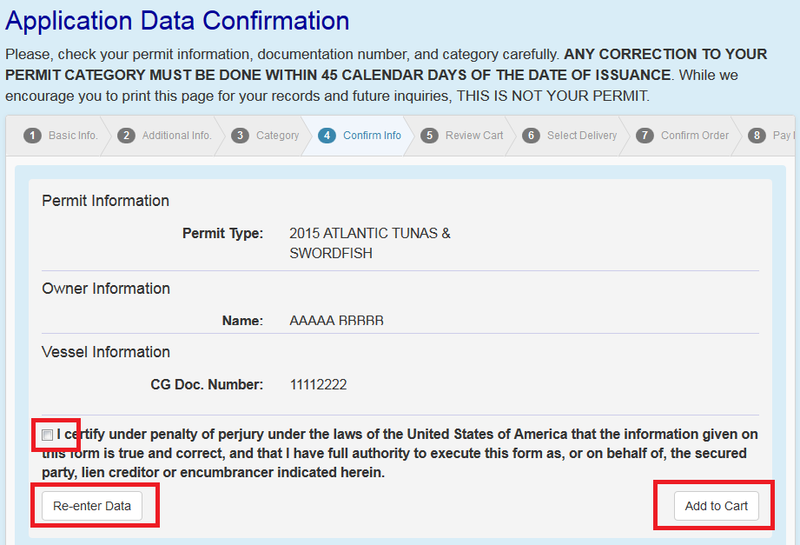 If you entered a permit number in step 3 and the system could not find it, you'll get an error similar to the one in the below figure. Either re-enter a new permit number or click I Will enter the basic application data myself . 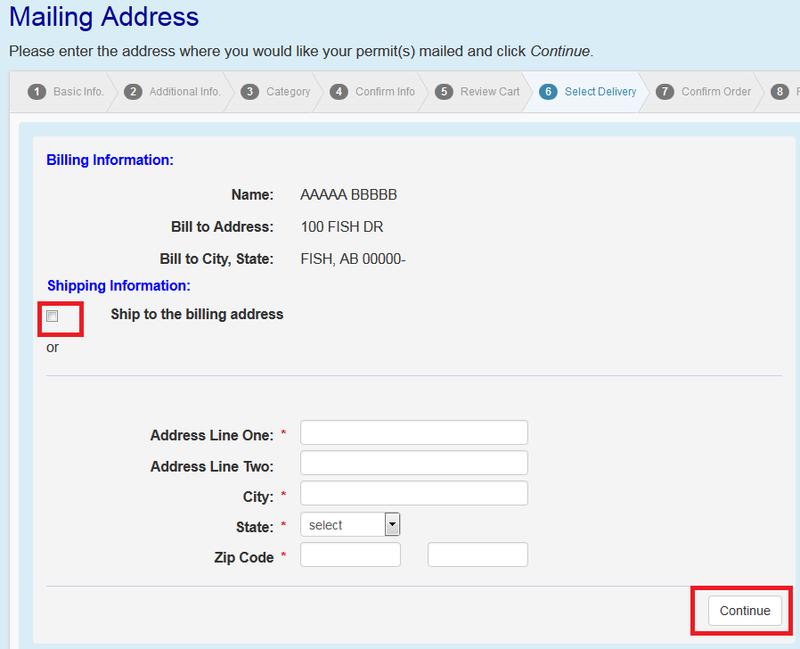 If you entered an acceptable permit number, the system will ask you for a vessel number. 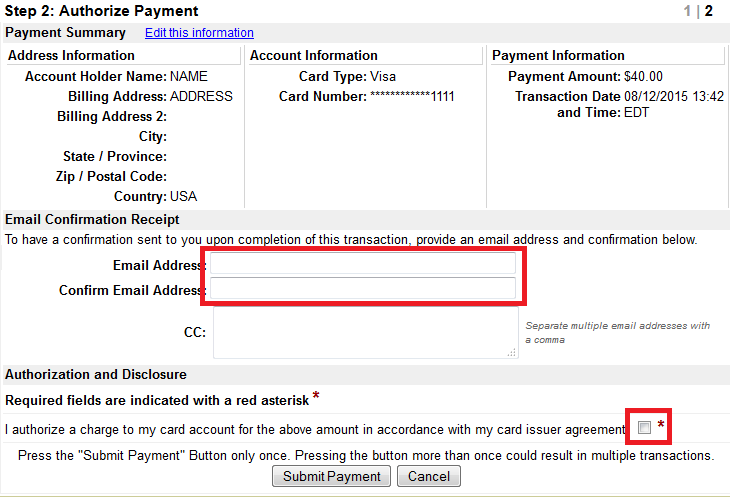 Select the "Enter Vessel Number" check box and enter in a vessel number in the text area. 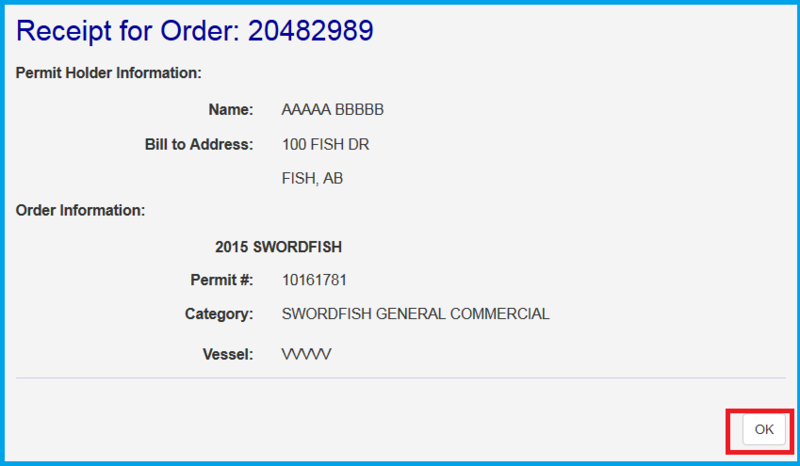 The vessel number can be the coastal guard documentation number or the state registration number. 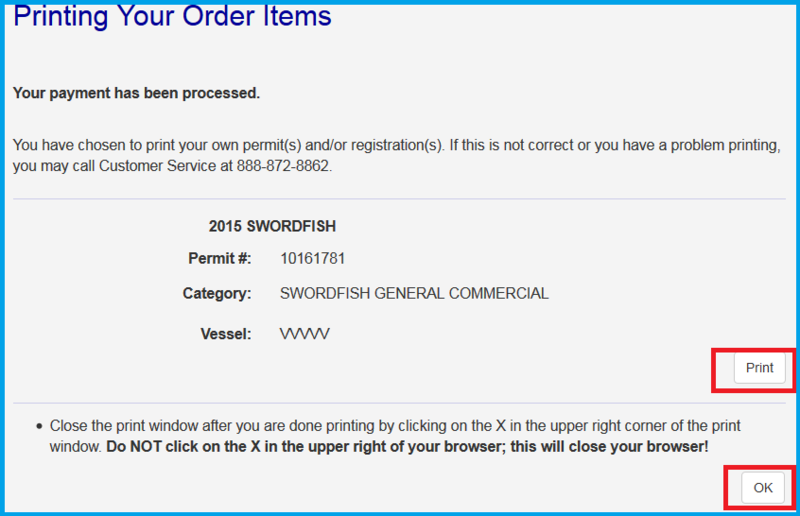 If you don't have a vessel number handy for that permit number, select the I don't have the vessel number handy. Cancel the pre-fill attempt box . Click Continue when done. In the next screen of verify your name and vessel, if both are correct, select "This is my name and vessel". Otherwise, select "This is not my name and/or vessel". If you selected "This is my name and vessel" in step 6, the system will take you to a pre-populated "Basic Application Data" screen. If you selected "This is not my name and/or vessel" the system will refer you to the screen in step 4. If the "Basic Application Data" screen is empty, enter your information. Press the TAB key on your keyboard to navigate from one entry box to the next or use your mouse to click from one box to the next. An " * " marks all required fields. Confirm all entries and change any information as needed in the "Owner information" section. 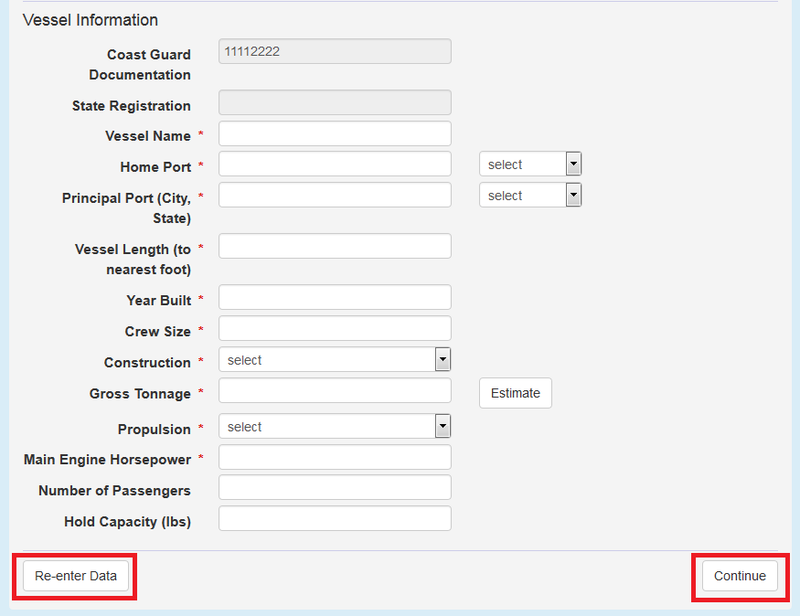 Make sure to fill in the "Basic Vessel Information" section and check the checkbox to confirm the ownership. Click the Continue button when you are done entering your information. 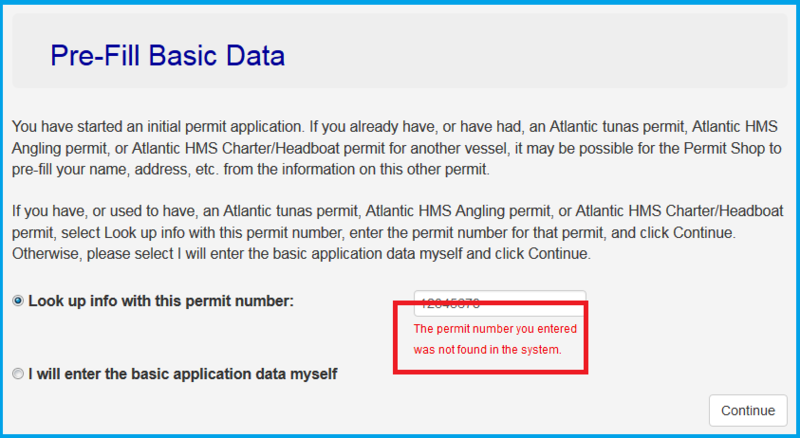 Note: At the bottom of the "Basic Application Data" screen is the "Basic Vessel Information" section. NMFS requires the permit holder to provide either the Coast Guard Documentation number or the State Registration number. Enter both numbers if they are available. Each vessel should be registered with the U.S. Coast Guard and the State. Once the system accepts all entries made in the "Basic Application Data" screen, the "Additional Application Data" screen will appear, containing all previous information entered in the "Basic Application Data" screen. Using your browser's side scroll bar, scroll down until you see the "Vessel Information" section. Enter in the information in each corresponding box. Click the Continue button when you are done entering your information. The Reenter Data button will take you back to the "Basic Application Data" screen. 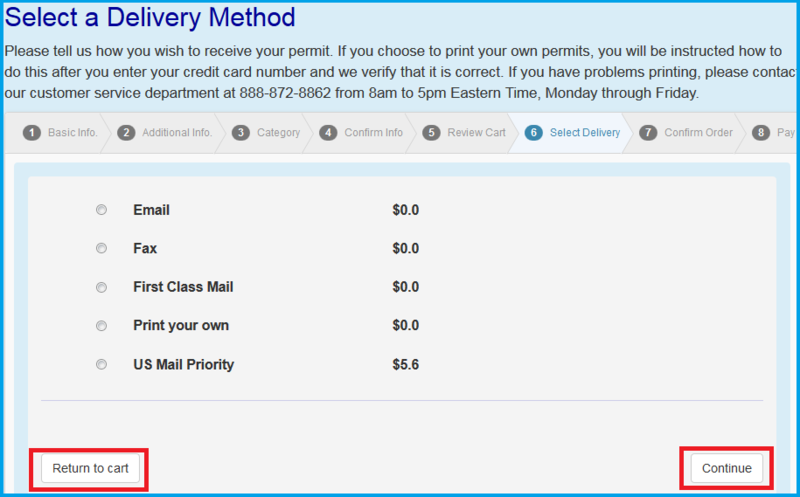 After you have completed the Shark Endorsement step of the permitting process, the "Select Permit" screen will appear. Select the appropriate permit that you need. 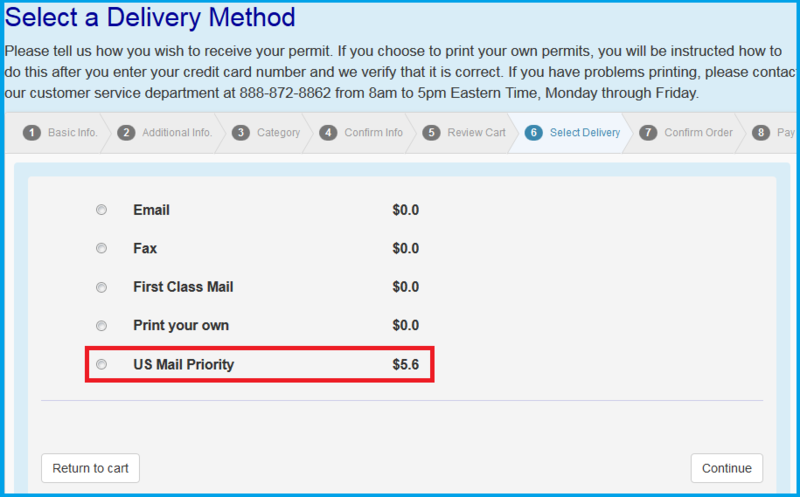 You can choose a permit category from the "Open Access" section by clicking on the checkbox next to the permit category. 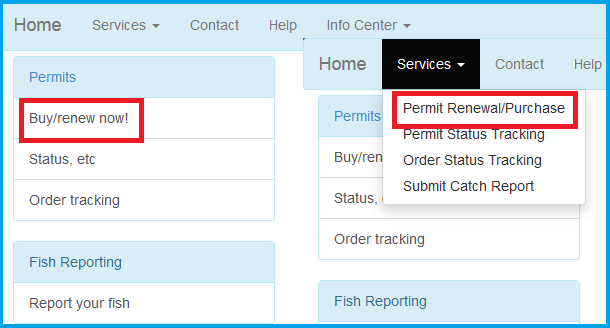 Once you click on a permit, the page will show whether you may choose another permit category to have a combo permit. At most two permit categories may be chosen. All permit categories that you cannot choose will have a red warning after the names.